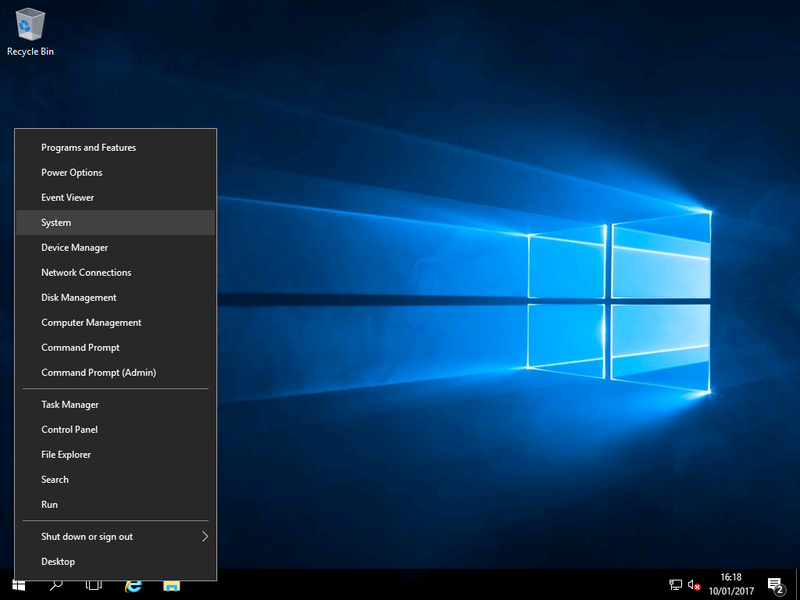 Disabling DEP – Windows 2016 & Wndows 2019 Workstation! 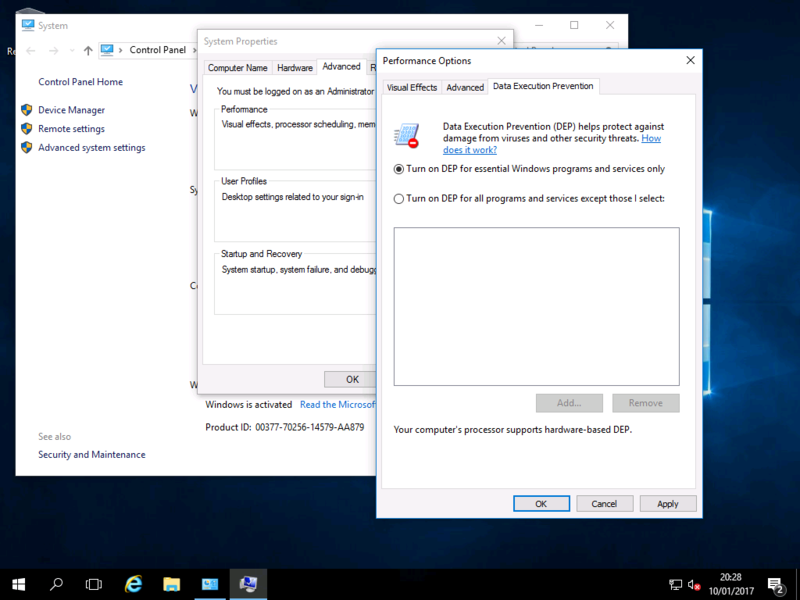 For security reasons, Windows Server 2016 by default has enabled Data Execution Prevention (DEP) for all applications and services. This can lead to problems when running certain games and applications. 2) On the left click “Advanced System Settings“, choose “Advanced” and choose “Data Execution Prevention“.